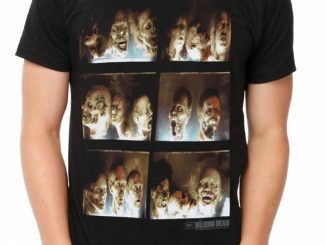 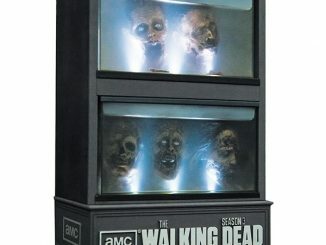 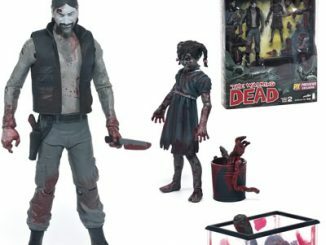 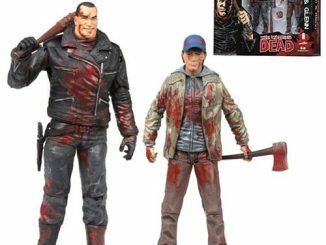 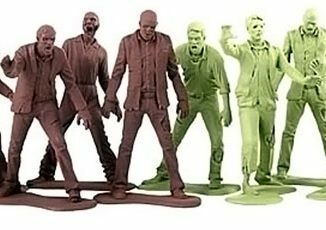 When you’re running from dead people trying to eat you, all the corpses start to look alike, but the Walking Dead Zombie Figures brings us three undead faces that are very familiar. 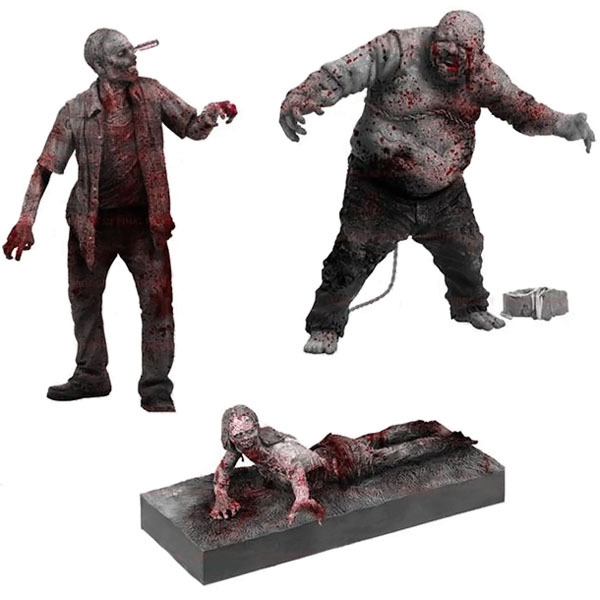 The combo pack, rendered in graphic black-and-white with red splatters of blood, gives us the RV-invading zombie that attacked Andrea at the beginning of Season 2 of the Walking Dead, and ended up with a screwdriver in his eye; the grossly water-logged well zombie that had to be dragged out of the well on Hershel’s farm (also in Season 2); and all the way from Season 1, the iconic bicycle girl that spawned her own Walking Dead webisode series. 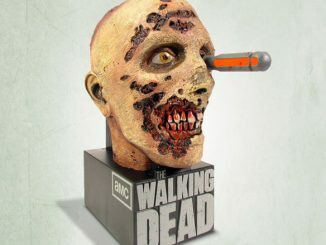 RV Zombie action figure has flip-back head play-action and a removable screwdriver in its eye. 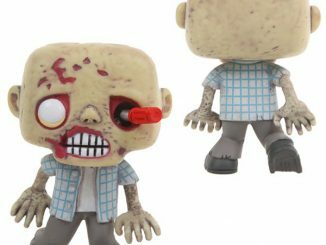 Well Zombie features 9 points of articulation with pull-apart play-action that reveals his soft, gooey guts inside. 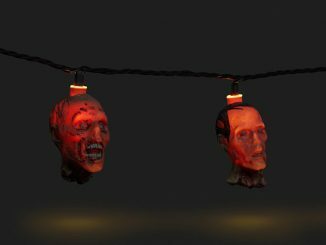 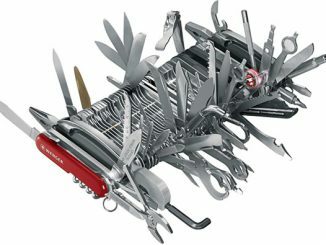 Accessories include an attached rope and canned ham. 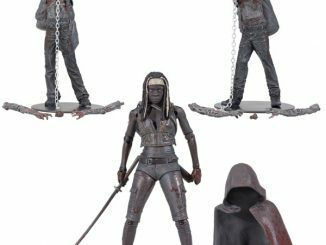 Bicycle Girl features an eerie reaching-motion play-action while lying on her base, and accessories include a damaged cell phone and jeans. 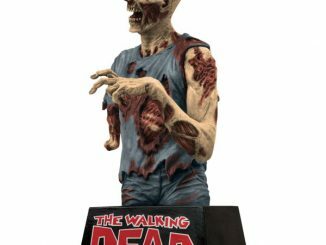 The Walking Dead TV Bloody Black-and-White Zombie Figures 3-Pack is available for £36.99 ($59.32) at ForbiddenPlanet.co.uk and $39.90 at Amazon.com.